Free to use and access. No registration required. Successful charge. 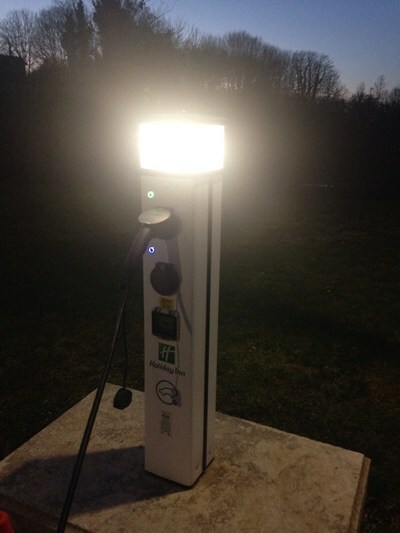 Looks like they have changed the charging post to a commercial Rolec with two Type 2 sockets. Still in 2 well marked bays near entrance. Also free, no cards or registration required, just plug in and go. Great charger. Just on the entrance to the hotel. Looks like a bollard with a light on top. 2x nose to nose clearly marked bays. No cards no fuss just plug in and charge.